Once dubbed as the Switzerland of South America, Uruguay, is also famous for its beach resorts and safe easy living, which is attracting attention as a great place to retire. Safety: Simply put this is the top criteria for people from other parts of South America. In order to relocate it must be safe! Uruguay now has a reputation for enjoying the lowest rate of crime in the whole of South America, which makes it an attractive place to settle. Stability: At present Uruguay is without doubt one of the most economically and politically stable countries in South America. It is a free country away from the ills of world controversy. The local banks have never succumbed to tactics shown in other South American countries such as expropriating, freezing or forcing a fixed currency exchange of deposits. Over the last few decades they have proved to be as trustworthy as a bank can be. Excellent Health care: Private hospitals feature an excellent patient-care all at reasonable prices. It is feasible to buy health care they need and others purchase health plans with a fixed monthly fee. Low Tax: This of course has to be on the agenda! Pleasingly, Uruguay does not levy any Tax on foreign income sources. In essence this translate to NO pension, social security and all money earned outside outside the country. Infrastructure: Uruguay has a decent infrastructure with roads in condition, safe to drink tap water, a good network of public transportation, excellent cell phone coverage across the country and widespread availability of broad-band internet. Lifestyle: Uruguay offers different contrasts in Lifestyle from the cosmopolitan capital city life in Montevideo to life on the beach with 200 miles of stunning coast to explore during the summer months Punta del Este is of course the king of the summer resorts and features a high quality 24-hour cocktail of lifestyle activities, cultural and musical events. A country lifestyle is also possible in Uruguay boasting green rolling prairies, ranches and village plazas. 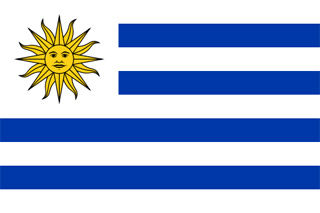 Climate: Uruguay is situated within a temperate zone of the Southern Hemisphere. The region has 4 seasons and temperatures during the daytime average between 21° C > 27° C (70° F > 80° F ) during the summer months and between 10° C > 16°C (50° F > 60° F) in winter. Nature: Uruguay is a beautiful country and has never had an earthquake or a hurricane. Education: The population in Uruguay is well educated overall, friendly and welcoming to visitors. In fact, the country boasts the most highly educated population in addition to the greatest middle-class population in the whole of Latin America. Residency: The residency procedure is not too complex. All u need to do is a criminal background check, a health examination and a confirmation of a regular income, such as a pension. So if you want to get away from the austerity of Europe or the crime of the US, Uruguay provides an interesting alternative.